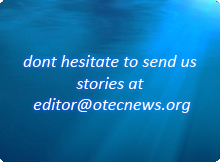 The owners of OTEC Cayman Ltd., in Grand Cayman this week for a renewable energy conference, told the Cayman Compass their consultants have completed the required environmental studies, which will be submitted to the Environmental Assessment Board in the coming weeks. The company signed a power purchase agreement with the Caribbean Utilities Company last year for 6.25 megawatts of energy. 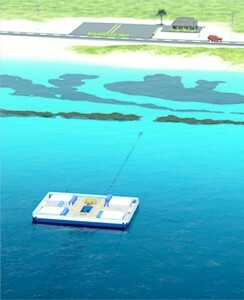 In the long term, they believe the floating power plant, connected to a shoreside facility by underwater cables, could be scaled up to provide up to 25 megawatts – around a quarter of Cayman’s peak power requirements.